From the "That Never Happens" department: I just realized that I missed last month’s column. Completely. Really. Fact of it is that I very nearly missed January every other way, too. I remember that it arrived, something about New Year’s Day, and then a flurry of stuff from every corner occupied my days until, right, February, and then some. I’d love to claim that I slept through it, but judging from the generally weary condition of somnambulation that only barely passes for my waking state, it’s clear that didn’t happen. In the midst of general commotion and chaos, I do know that I’ve been working on some interesting projects that I can’t yet talk about (such a tease), but they’ve kept my brain distracted enough to clobber any notion of tempus’s fugiting. And, tempus really do fugit. It was a note via email asking if I was still alive , a note that I could not be cruel enough to leave unanswered, that broke the trance, and, here we are. During my apparent absence, a lot of blending thoughts have been perpetually percolating in mine own kopf, so as I dug through the mail bag, I grabbed some contextually apropos submissions to start the first column of the year, a month late. Did you miss me? 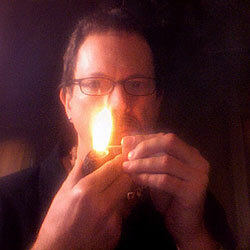 Nate S. queries: I am a relatively new pipe smoker and have enjoyed reading and smoking a wide variety of new blends. I have recently become interested in trying to blend my own tobacco. I’m not sure if you’ve answered this before, but what resources do you recommend for someone looking to get into blending? A: Great question, Nate. There are some old, out of print books that offer some insight into the attributes of various component tobaccos and how they’ve traditionally been used, and there are probably on-line resources that can get you started, but the truth is that there’s really no substitute for learning through doing. I’d recommend getting a variety of different blending tobaccos, a digital scale, and a notebook. Start by smoking the individual tobaccos by themselves, taking notes of their various attributes - what they taste like, how they burn, how they affect your palate, how they behave in different pipes, that sort of thing. Be as detailed as you can in your written assessments of each leaf. Your notes will be indispensable as your experience progresses. Then, begin combining the different leaf types, two at a time, and take note of how they influence each other. What new flavors or aromas arise from the combinations that weren’t noticeable in the components alone? You’ll begin to get a deeper understanding of the individual components through these experiments. Find combinations that make you happy, and consider what might happen if you add some of the other tobaccos, perhaps exploring the addition of a little latakia, or a bit of perique, or some orientals. Each time you add another type of leaf to the menu, you’ll discover new surprises unfolding in the smoke. Once you feel you have a grasp of the various components, pick an available blend that you enjoy, and see what happens when you mix different component tobaccos that are similar to what’s in that blend. You’re not trying to replicate the blend, but to gain some understanding of what the original blender might have gone through on the way to their finished product. There’s no shortcut to gaining real knowledge of the art and science of blending. It’s like cooking, in many respects. The basic cooking methods are easy to learn, but how they affect the ingredients is an important fist step towards deeper understanding. You’ll make a lot of mistakes along the way, but you’ll probably also create some gems in the rough. The refinement, the polishing of those gems will take you closer to the point where you can put the ingredients together in your head to create new recipe ideas. The most important thing that will happen through this exploration is that, as your skills and experience evolve throughout the process, your palate will evolve as well. 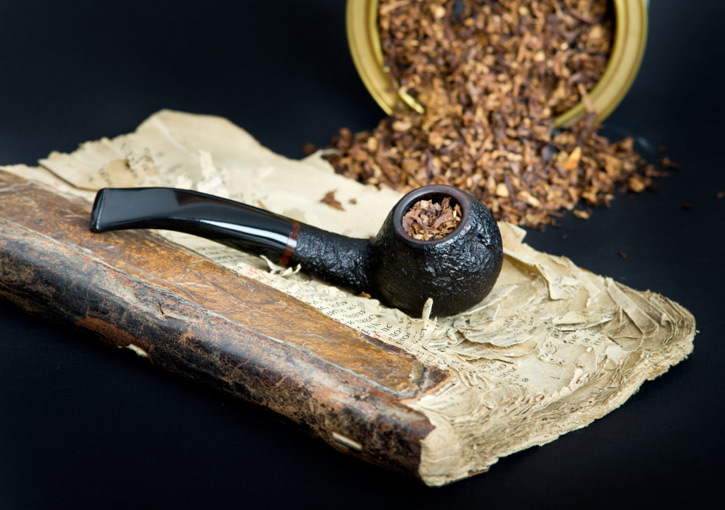 Through this sort of systematic focusing of your attention on the nuances of the tobaccos, you’ll begin to find a new and deeper appreciation for what goes on as those shreds of leaf are consumed in our little briar furnaces. 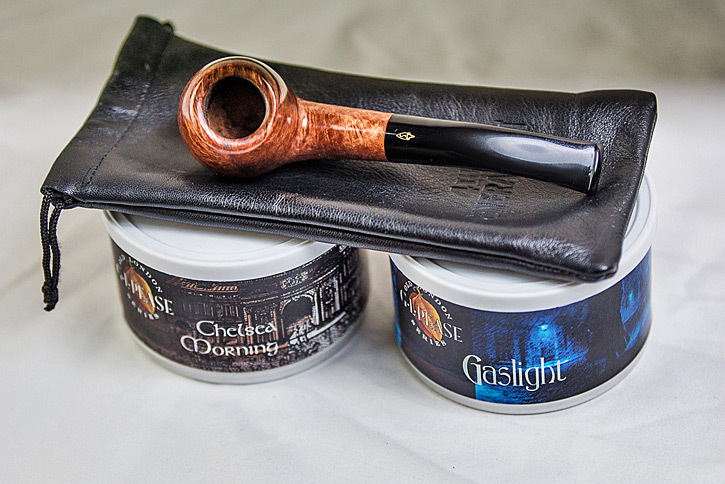 You may or may not ever get to the point where your blends deliver exactly what you’re chasing, but it’s almost inevitable that your overall enjoyment of the pipes and the tobaccos you enjoy will increase. Raoul asks: Why is it that some component tobaccos, like Latakia, have a huge influence on a blend, but the effect is somewhat narrow in scope, while others, like burley, have a less pronounced effect, but with a broader range of influence? A: Okay. Sorry. I made that one up because it’s something that’s always intrigued me, it sort of goes along with the previous question, and I thought it might be interesting to scribble some words about the subject. Some tobaccos, Latakia being a the most obvious example, have very pronounced effects on a blend, even in very small quantities, while also possessing a limited range of influence. Five percent in a mixture will make its presence known, and its voice will increase dramatically up to about 50% by weight. The presence of some types of oriental leaf can amplify its effect, making smaller percentages seem like there’s more there than there is. But, when its percentage goes much beyond half of the formula, it becomes one-dimensional and overloads the palate. More isn’t more, in that case, it just subtracts other goodness from the overall effect. There are blends out there, certainly, with astronomic proportions of the smoky stuff, but are they really adding anything, or just masking what’s left in the formula? Worse, if the percentage is too high, palate fatigue will exact its toll, and eventually, we end up tasting a whole lot of not much. It’s like the Spinal Tap amplifiers, only this one goes to eleven at a little past the half-way point. You can keep turning it up past that, but it doesn’t really get louder. Perique’s role in a blend is another interesting case study. At very low concentrations, it softens the edges of otherwise sharp virginias without making much of its own statement, Add a little more, and its fruitiness begins to emerge; still more, and the oft discussed "pepperiness" will take the stage. Again, at some point, it’ll upstage all the other players, and become a monotonous bore, like that loud, drunk guy that no one invites to dinner parties, but who always seems to find his way in. I suppose some people might like him, and, then again, some people smoke straight perique. Virginias and burleys, with a caveat that I’ll get to in a second, are a little more forgiving. They can make up none of a blend, or all of it, and will lie gracefully and graciously on a smooth curve from naught to 100%. The caveat? Burleys, naturally, contain no sugars, and will tend to smoke harshly unless some is added, either through the inclusion of sweeter virginias, or through casing. Orientals are sort of in the middle. They add complexity even in small quantities, and can be used at percentages up to 100%, though they’ll tend to start to become very intense at the higher end of the scale, overpowering the more subtle aspects of the other leaf in the mix. 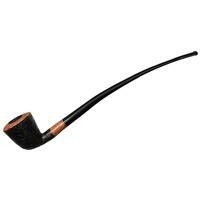 Additionally, they don’t tend to burn as readily as other types, so smoking them straight can be quite a challenge. If you want to experiment with blending, or with altering an existing blend, it’s good to keep these things in mind. In some cases, a little goes a long way, and in others, the sky’s the limit. 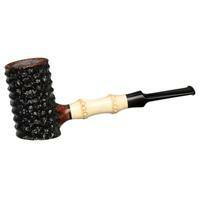 Seth writes; In one of your older posts, you mentioned using a glass pipe for tasting new blends. 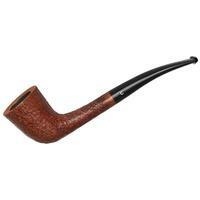 I’m aware there are tons of places to buy glass “tobacco” pipes but those are really meant for a different plant. Would you mind elaborating on the piece you used to use? The idea of tasting a mixture without any imparted flavor from the vessel appeals to me and I’m wondering if getting a colorful swirly trinket is the only way to achieve this. Shawn R. asks: Lots of discussion and comments on aging - mostly VAs, but others as well. Some are bulk, some tinned, some loose ribbon, and some flake. I have to believe there is a bit of a difference in aging a (for example) straight VA ribbon vs. a flake. Different moisture content, contact between the flakes/pressed leaf, etc. If they are VA blends this would (I assume) be more pronounced. I have been reading/watching vids talking about the “sugar crystals” on aged flake - never seen that in regards to ribbon cut. I’d also assume that there would be a difference in a ribbon aged in bulk in jars where it could be packed, vs. the same blend in a tin. 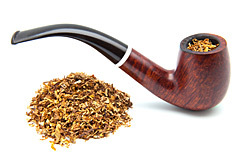 Looking at tobacco cellar dot com, seems that the most aged tobaccos are flakes. Can you talk a bit about this? 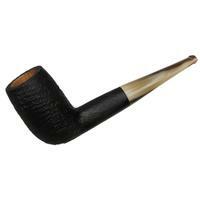 A: It’s true that the form of the finished tobacco, as well as the package, have a significant influence on the way it will age, and the aging timeline. The most extreme difference would be between plugs and ribbon-cut blends, an interesting example of which would be my own JackKnife Plug and JackKnife ReadyRubbed. When first produced, there is absolutely no difference between the ribbon form and ribbons cut from the plug, but a month down the road, they’re like two different blends, and they will continue to diverge for years. They behave differently because of the lack of air in the interior of the plugs, compared with the abundance of air surrounding the ribbons. 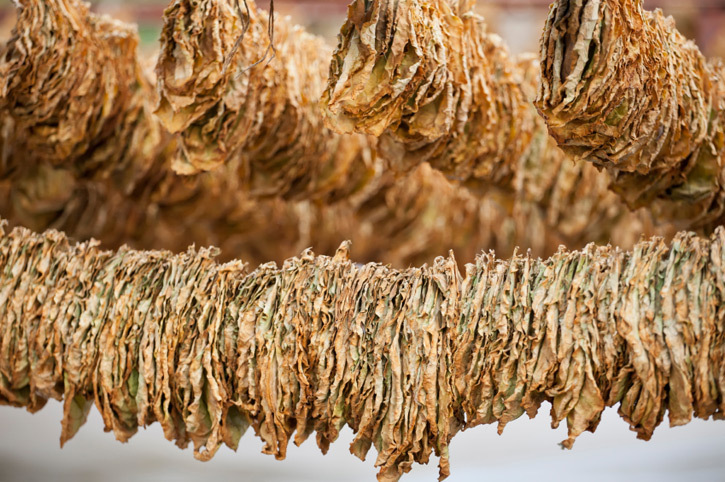 The result is that a very different microbial environment will exist in the two tobaccos, resulting in different tasty fermentation byproducts being formed. Lanyard style tobaccos are a little less tightly pressed than plugs, so their behavior will be somewhere between the two, though certainly closer to that of the plug. Flakes are sort of a wild-card. They have the benefit of the different tobaccos being in close proximity to each other, but there’s still plenty of surface area that’s exposed to air. They benefit from the initial squeeze, which is probably where mot of the change takes place, but after they’re out of the presses and packaged, the behave more like ribbons than plugs. Of course, this will also depend on how tightly the flakes hold together. A looser flake will behave more like a ribbon over time than a tight one. Disc cut tobaccos, since they’re basically made from the spun lanyard, will be less altered by their initial processing than flakes, but more so than ribbons. Make sense? The whole jar vs. tin thing is another wild card. The biggest problem with jars is that people can’t leave them alone. It’s tempting, after a few months, to open them to see how things are going, but as soon as that lid is off, the environment within the jar changes dramatically, primarily because of the air exchange that takes place. The evolution of the tobacco will be forever changed by this snooping. It’s not a bad thing, just different. Aging will continue, of course, but on a different path. As for the packing density, there will be some difference in the result of a tightly-packed jar versus one that is looser, but there’s really a lot of air in there, even if you cram it in, so the differences aren’t as dramatic as you might expect. As far as different types of leaf affecting the aging process, you’re spot on. Virginias contain plenty of sugars, and sugars provide fuel for fermenting microorganisms. Burleys mellow over time, but virginias change, and those changes can be quite dramatic. Orientals, which contain some sugar, also change quite dramatically, so mixtures that are heavy with either of these components can be expected to undergo the greatest transformation, while burley-based blends will not change nearly as much. And, with that, I’ll put this one, and myself to bed. Hope you enjoyed it. As always, leave your comments below, and if you’ve got any burning questions, don’t hesitate to ask using the link below. Until next month, dry ashes and sweet smokes. Just fantastic! 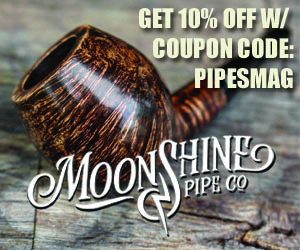 So much great information provided in a manner that even the rookie pipe smoker can enjoy and gain from. While personal blending doesn’t necessarily intrigue me (leave that for now to the pros like Mr. Pease) the leaf attributes break downs as well as the storage insights were invaluable. Thanks! Thanks for the nice words. Glad you liked it. Seems the topic of aging and storage comes up a lot on forums. I’m glad to see some information backed by experience. Thanks for another installment of the Q&A column. I noticed that you didn’t address the observation that the surfaces of flakes frequently develop traces of a silvery substance, what Shawn called “sugar crystals”, whereas that doesn’t seem to happen with ribbon cuts. The only ribbon cut I have ever seen that stuff appear in is Esoterica’s Kingsbridge. It really doesn’t look like sugar to me. Does anybody know what it is? I will say there are so many blends, including yours as well, out there that I’ve decided there is no real need to try blending except with all those aromatics I still have that I no longer enjoy. These I’ve used to experiment by blending them with Latakia and Perique. There has been some success but no real winners. At least I’m smoking the aromatics instead of just throwing them away. With all the many blends available, yours included of course, I’ve decided there is no need in experimenting in any real way with blending my own except with the numerous aromatic blends that I no longer smoke. These I’ve tried blending with Latakia and Perique to change the taste. My successes have been few but at least I’m smoking the aromatics instead of just throwing them away. I hate to waste tobacco, especially with the costs. very good edition! Thank You. The comment you made about aging jars suffering the curiosity of its keeper, who opens it, brings thoughts that I’ve had to the surface. Used to be there was the preference for anaerobic aging. The thought was that all the oxygen in whatever container chosen would be used up by aerobic aging or fermentation, and then the meat of aging would kick in, anaerobic aging. Somewhere along the line this distinction was dropped and those in the know said that aging was aging, in whatever form, and the aging container in question provided variation only, given its shape and size accommodating a certain amount of air. All aging was good but would be different, especially given a sealed container as opposed to one that had been opened periodically. I question this, but not having the chemistry to buoy my thoughts, can only say what makes sense to me. My thoughts are that uninterrupted aging is superior. At some point aerobic aging ends and anaerobic begins, and the chemical processes that begin are, to my mind, best left undisturbed for whatever period of time that the smoker prefers. Why foster aging and yank it in and out of its normal course through the introduction of air? The jar is doing its work and aging is progressing. Why force anaerobic to become aerobic, and vice versa? If you want something to age, why make it upshift aerobically and then downshift anaerobically? To my mind this is disruption of the very thing the smoker is trying to accomplish. 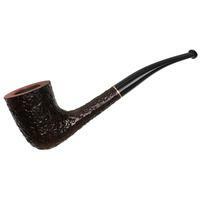 A pipe friend who doesn’t follow my practice said, why should I deny myself a certain tobacco that is in an aging jar? My answer is above. I have no trouble leaving my aging tobacco in jars without opening them for whatever period of time that I’ve chosen. Sure, I’ve cracked a jar or two early, but that is unusual. If I want to age a particular tobacco for two, five or ten years, I leave it alone and don’t open the jar. Heaven knows that I have many tobaccos available that are not aging. And aging in this manner, I’ve had nothing but great results from VA or VA-based tobaccos, Cumberland, Haddos and Redwood most notably. Not saying that this is best practice, and I invite chemists to tell me how I’m wrong. But the same smoker above, a man of science, said that no living chemist could describe the algorithms of aging. In any event, aging has always fascinated me as it is describes the controlled deterioration of a plant substance removed from the conditions in which it grew as opposed to human physiology, for example, that describes the maintenance of life in the body while alive. Which reminds me-I need to inspect the lids on my jars to make sure that my aging hasn’t been inadvertently disturbed by rogue lids and inflowing air:). And, yes, the biological and chemical processes that go on defy real analysis. There are too many variables. What native yeasts and bacteria survived the curing and initial aging process of the base leaf, or were in the air when the leaf was cut, blended, tinned? What’s the moisture level? And on and on. As with wine (again? ), once the genie is out of the lamp, there’s no putting her back. A little bit of breathing is often good for both. Fortunately, the process of rekindled oxidation is kinder to tobaccos than it is to aged, fermented grape juice; our sacred leaf won’t turn to vinegar. But, it does begin to lose some of the volatile constituents that make aged tobaccos special. It’s a complex system that is only partially understood, and then, only in the most general of terms. It’s also part of what makes this pastime so much fun. “the biological and chemical processes that go on defy real analysis. There are too many variables. What native yeasts and bacteria survived the curing and initial aging process of the base leaf, or were in the air when the leaf was cut, blended, tinned? What’s the moisture level? And on and on”; and went on to say that oxygen does begin to subtract some of the volatile elements in tobacco. The properties of the tobacco most determine the outcome of aging, but the terroir is a complex, unpredictable influence on it; and air interacts with the tobacco’s volatile components, changing some, releasing others. The properties of the tobacco, terroir and volatility. Tidy.